Very Good. Against the Tide of Years (Island) by S.M. Stirling, 2003-09-18. Mass market (rack) paperback. Glued binding. 454 p. Island, 2. Good. 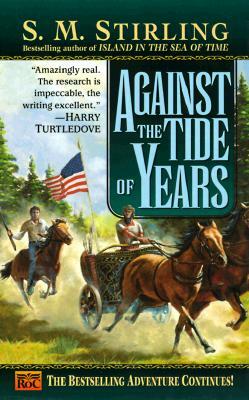 Against the Tide of Years (Island) by S.M. Stirling, 2003-09-18. Mass market (rack) paperback. Glued binding. 454 p. Island, 2. Vg+ Science Fiction, Literature & Fiction. paperback, vg+ In stock shipped from our UK warehouse. Very good. Mass market (rack) paperback. Glued binding. 454 p. Audience: General/trade. Clean, tight unmarked copy.